In combination with impingement syndrome or separately, the AC joint can wear out and becomes a source of pain due to arthritis. ACJ arthritis is treated surgically by removing the 2 adjacent damaged/worn surfaces and creating a gap of about 8-10mm between the bones so that they cannot rub on each other. This can be done by Arthroscopy (keyhole) or if there is a large deformed joint I prefer to removed the damaged surfaces by a small(mini open) operation as it is difficult to be sure that all the bone has been removed by the arthroscopic technique. 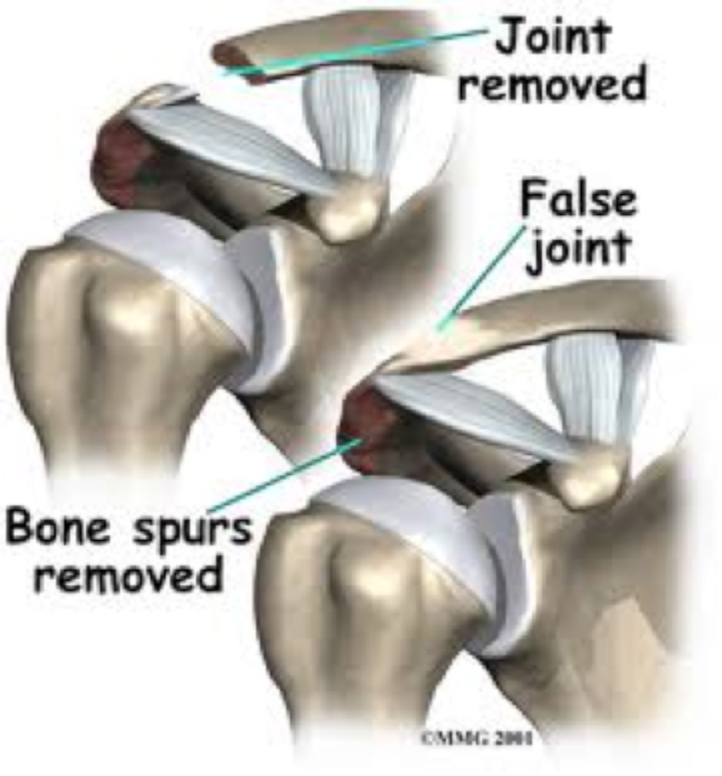 Surgery is quite effective but occasionally the bone can reform after removal and it may have to be redone. This is quite rare.